In late 1968, the finishing touches were being put on Europe’s largest abstract sculpture. It was a flamboyant gesture in stainless steel, 100ft tall and anchored to a hilltop in rural Croatia, hours away from any major city. 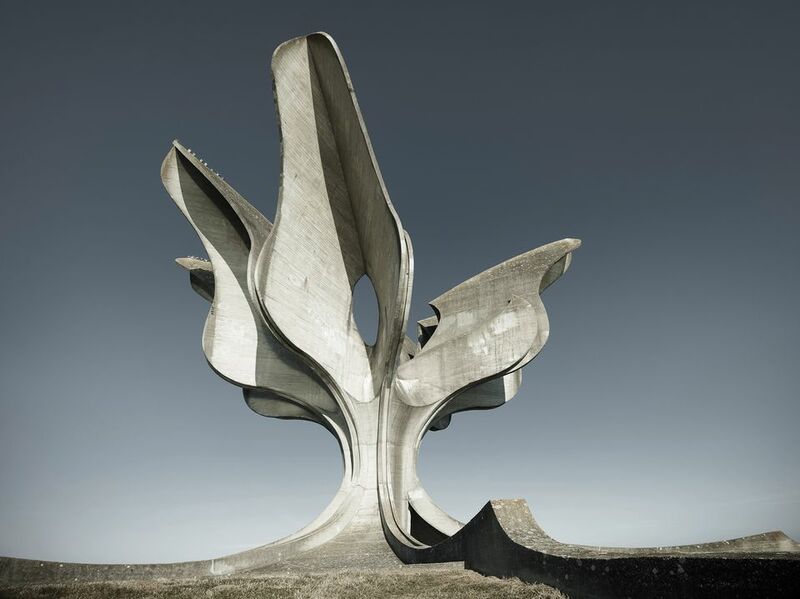 Aerodynamically engineered to withstand bracing winds, the Monument to the Revolutionary Victory of the People of Slavonia stood until 1992, when it was bombed by the Croatian army during the Croatian War of Independence. It was one of hundreds built across Yugoslavia in the post-war era to commemorate Serb and Croat partisan fighters who repelled occupying fascist troops during the Second World War. 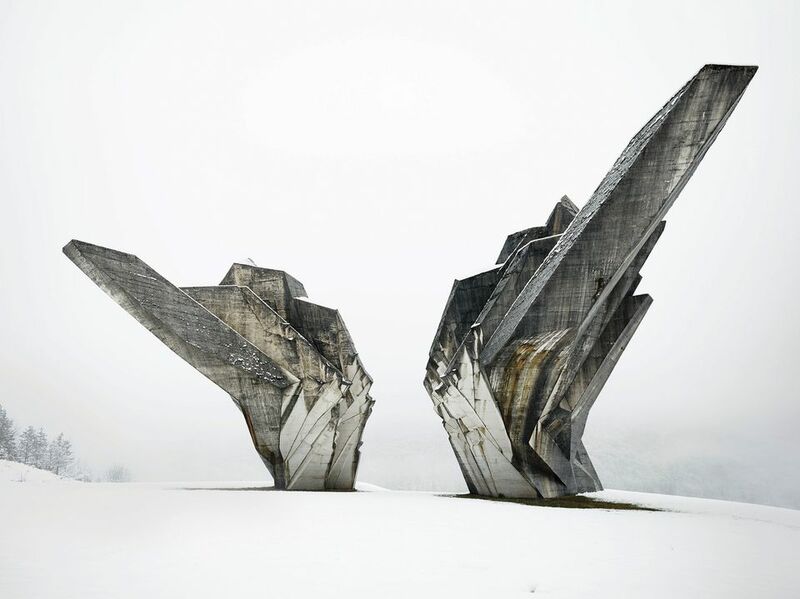 Many of the monuments, or spomenik, such as Bogdan Bogdanović’s Jasenovac Memorial (1959-66), still stand today. But their patronage is long forgotten: the bulk of these soaring structures were erected with funds willingly donated by nearby villages. It would seem that the social and political reality of socialist Yugoslavia—a magpie state comprising six ethnically interrelated yet distinct lands—was cohered, in part, by its architecture. 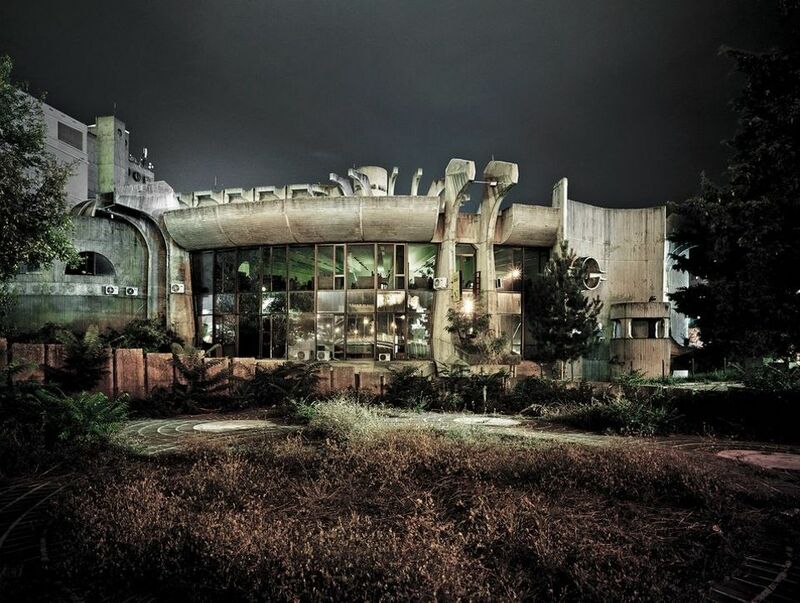 This is the premise of Toward a Concrete Utopia: Architecture in Yugoslavia 1948–80, comprising more than 400 artefacts, at the Museum of Modern Art (MoMA) in New York. The exhibition, curated by Martino Stierli, Vladimir Kulić and Anna Kats, follows the development of architectural culture in Yugoslavia from the country’s nervy break with Stalin through to the death of the Yugoslav leader Josip Broz Tito, who believed his country “had to assert its nationhood in a short span of time,” Stierli says. Along the way, innovations in the Yugoslav political economy—notably, its regime of “socialist self-management” and its founding role in the Non-Aligned Movement—would be the springboard for new building typologies and technologies, many of which were exported across the Global South. On the geopolitical stage, Yugoslavia’s engagement with markets endeared it to the West, while its rejection of socialist realism earned it the serious attention of US curators such as MoMA’s Arthur Drexler, who was influential in the region—the US museum staged exhibitions there throughout the 1950s and 1960s. In practice, Yugoslav architects filched freely from Le Corbusier’s postwar catalogue just as they showed admiration for the glazed corporate boxes that began to line Park Avenue. Some of the most dramatic examples of Brutalism—the movement that emerged in the UK in the mid-to-late 1950s—were to be realised in Yugoslavia, particularly in Skopje, which was rebuilt in 1963 after an earthquake and is home to several masterpieces like Janko Konstantinov’s Telecommunications Center (1968–81). At the same time, designers, prompted by groundbreaking research in the building traditions of the region, began incorporating features from autochthonous architecture. The overlapping of modernity and tradition fed into the greater project of cementing a Yugoslav identity.